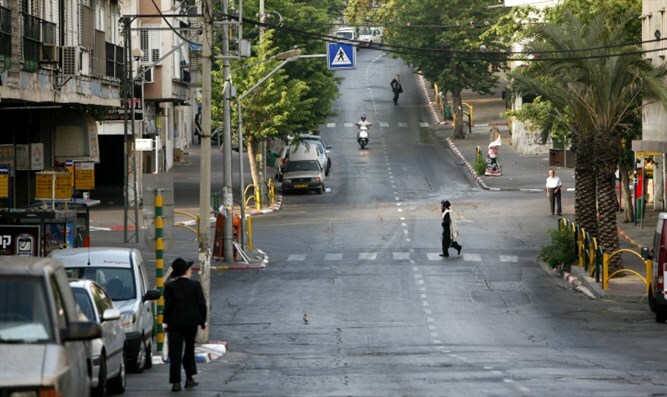 Committee approves plan to build more housing units, offices, and open spaces in central haredi city. A subcommittee of the National Committee for Planning and Building of Preferred Residential Complexes (CPRC) informed the Bnei Brak municipality that a plan to build 2,200 housing units in the city's north had been approved. Five years ago, a law was made to advance building in preferred areas, in an effort to deal with Israel's housing crisis. The Bnei Brak plan aims to create a new building complex with 2,200 new housing units, including 420 smaller units. The plan will also include public and neighborhood buildings, including offices and commercial buildings, open public areas, expanded roads, and access from the city and public parks. According to Calcalist, Bnei Brak is one of the most densely populated areas in the world, with 27,000 residents per square kilometer. In February 2017, the Tel Aviv District Planning and Building Administration approved a 25-year zoning plan for Bnei Brak. The plan included 10,000 new housing units while strengthening the city's economy and residents' quality of life.